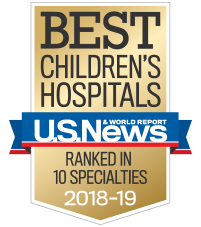 The Children’s Health Network (TCHN), a subsidiary of Children’s, serves hundreds of member physicians across Georgia. We work with managed care organizations to help ensure fair agreements and positive relationships. Managed care contracting: TCHN performs comprehensive language review of each managed care agreement and works with managed care organizations to ensure the agreement is fair to all parties. Delegated credentialing: Credentialing is delegated to TCHN, so you can participate in multiple managed care agreements by completing just one application. Claims resolution and contract compliance: TCHN serves as a liaison between your practice and managed care organizations to help resolve claims issues and contract compliance. Educational opportunities: TCHN offers seminars throughout the year. TCHN provides an exceptional value and a range of services. Please contact us at 404-785-7940 to see how we can help your practice.